November 20, 2011 - 2nd Alarm - 270 Palmdale Dr.
Toronto Fire dispatched a working fire assignment after receiving numerous reports of a fire and explosion in a 2nd floor unit of a high-rise. First in crews requested a 2nd alarm upon arrival and R115 crew made their way into a heavy smoke filled corridor to initiate an attack. Heavy fire was knocked back in the unit, but crews were unable to penetrate any further due to a collapsed ceiling, requiring an exterior attack to reach the rest of the flames. 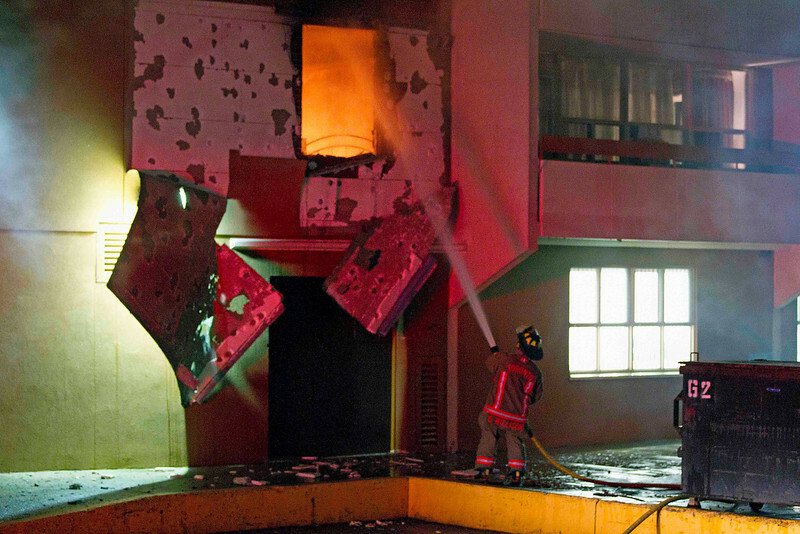 The apartment was completely gutted, with the entire wall blown out of the back.